Here below is the disgraceful non-response from "Customer Relations Executive" Rosie Lythgoe-Cheetham to these important concerns I expressed. She is clearly utter unfit to hold this office and needs to be replaced by someone at least vaguely decent and competent without delay. Further to your contact with Cllr Kath Hartley regarding bus shelter design received on 18 January 2019, Cllr Hartley has asked Transport for west Midlands (TfWM) to respond directly to you. 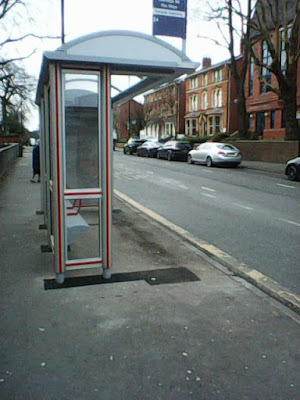 I was sorry to hear that you are dissatisfied with the recent changes made to shelters on Calthorpe Road at Fiveways. Newly installed shelters in this area are a part of our wider regeneration plan and have a new design. We are keen to continue to provide our customers with clean and well maintained waiting environments, despite budget cuts and increases in maintenance costs. As a result, the West Midlands Combined Authority (WMCA) is continuously looking at ways of generating or protecting funding from non-public sector sources. 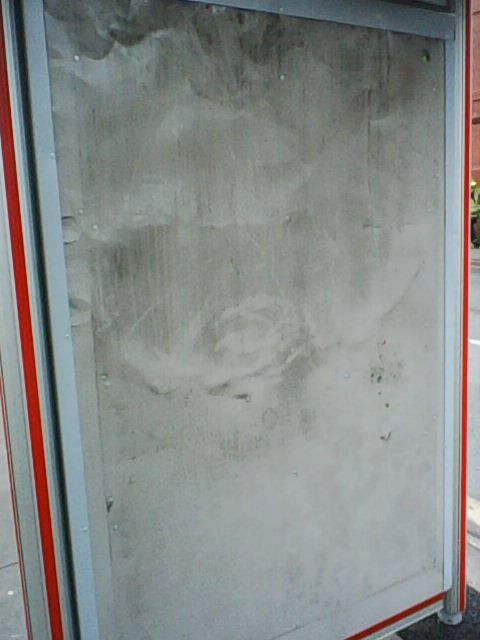 One very important stream of revenue comes from the advertising on around 5,000 bus shelters. 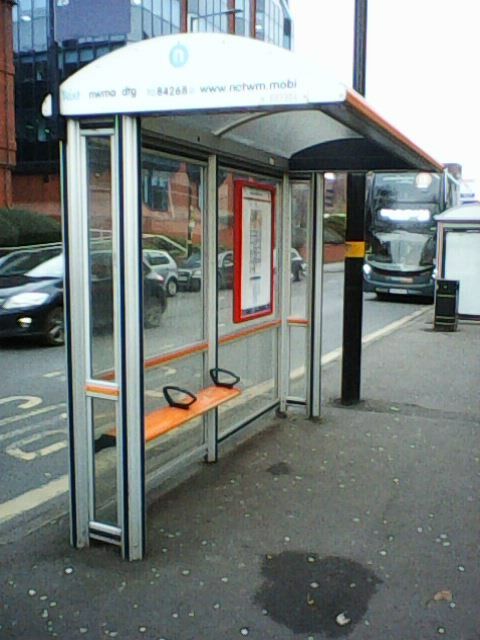 Advertising companies have advised us that in this increasingly digitised market place, it is still possible to protect and even increase our advertising revenue by modifying the shelters in high traffic areas so that the adverts are more prominent. This involves removing the front panels from a number of shelters and upgrading them to provide digital advertisements. These provide the maximum viewing potential, therefore we receive a higher premium. 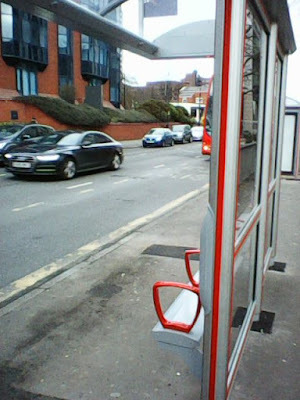 The bus shelters being replaced are older models which had reached the end of their life span. Money raised from the advertisement contract not only enables us to maintain, clean shelters and invest in new bus shelter infrastructure, it also provides us with enough revenue to finance the Safer Travel Partnership - a police team dedicated to tackling and deterring crime on the Region's transport network. I hope that this explains the reasons for the changes to certain shelters. Transport for West Midlands appreciates your feedback as this will enable us to improve our services where possible. I'm surprised that someone with as little intelligence as this, has actually managed to string together a blog so comprehensive. I can quite clearly see buses in both of your photos (the large, square vehicles with glass fronts). You can hide a lot of detail with a cleverly (barely) angled photograph. 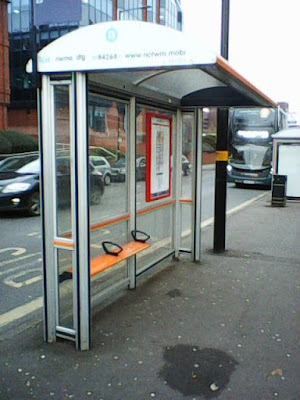 No adverts, worse or no bus shelters. Simple. As far as I am aware the vast majority of bus stops don't have shelters at all. Maybe 2019 is turning us all a bit soft. Please go further into detail as how you ascertained the travel habits and social standing of an individual from a single formal e-mail? Additionally: 'sub-using-human child'. Insult the people off the buses. Insult the people on the buses. Rally the public for your cause. Nice. At the end of the day if it upsets you, climb down from your keyboard, log out your blog, get a job and buy a car. Leave the buses to the rest of us.